As President and Chief Operating Office of the OMG�, Bill is responsible for Marketing, Business Development and the company�s General and Administrative operations. This includes strategic relationships and member recruitment as well as finance, personnel and international activities. Bill has been with OMG for over twenty years, and has worked in the computer industry, mainly in the areas of advanced software, for over thirty years. Bill was previously OMG�s Vice President of Business Development. Prior to this position, he was the President of Object World Corporation, an OMG subsidiary, until it was acquired by Ziff- Davis Conferences and Forums. Prior to joining Object World, He was Vice President of Sales and Marketing and a co-founder of Itasca Systems, Inc., and Vice President and co-founder of Graphael, Inc., both early Object DBMS companies. He also held senior positions at Gold Hill and at Symbolics Inc., both of which were object-oriented AI and CASE companies. 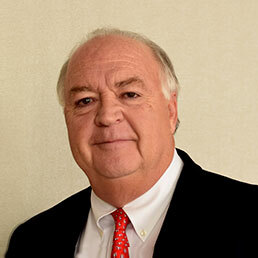 He started his career with Honeywell Information Systems in 1979. Bill holds a BS in Marketing from New Hampshire College, where he graduated with honors.